and you know what? It feels so much better in every inch of my body! a new KAL with Dee and Vera! This is the Sunday Swing pattern and it is working up very nicely! 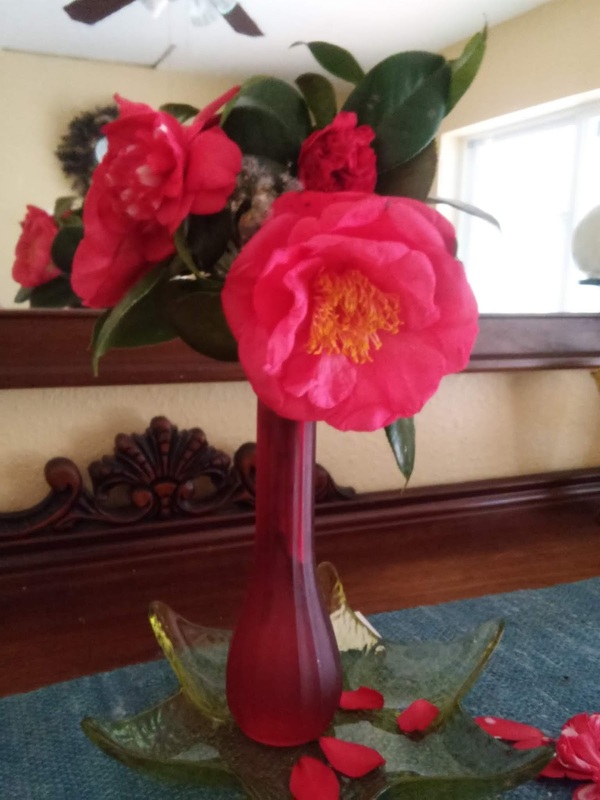 And all of the Camellias are out and what a pretty bouquet they make! It's always nice to have that feeling of accomplishment. 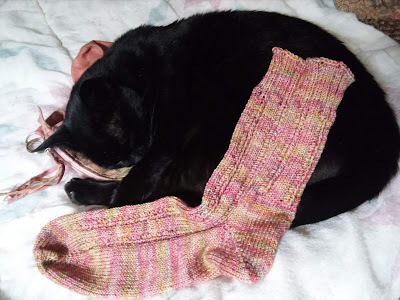 Love the sock and of course, I'm very jealous of the Camellias. We actually had one Camellia bud in bloom a few weeks ago. Poor thing didn't last long. It's going up in the 60's this week so I bet I'll have more. I hope for their sake that ground hog is right about an early spring. The table runner and camellias are the same colors as your sock - I ❤️ that! 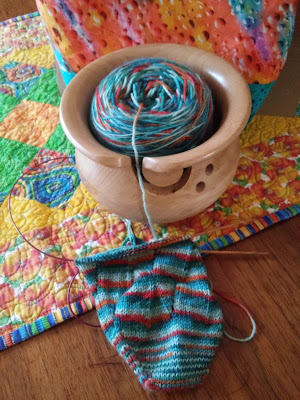 Great yarn and nice progress on the sock - you'll be finished before I'm barely started - lol.